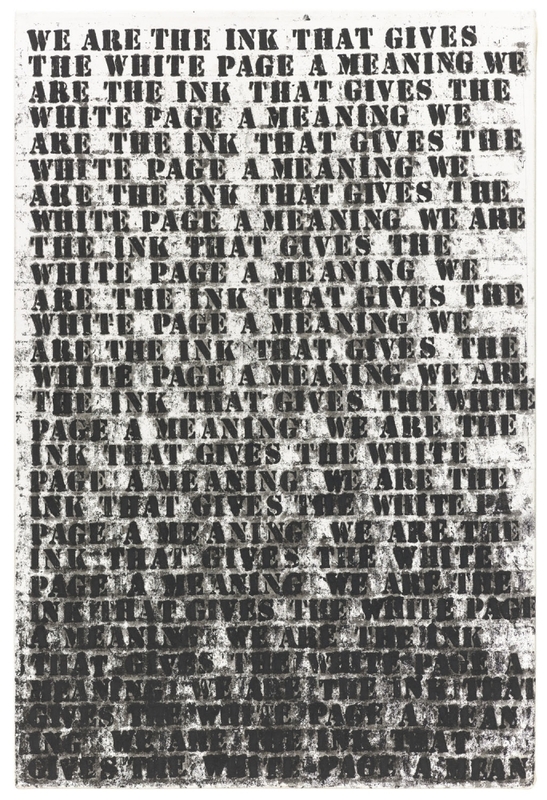 Glenn Ligon included in "Prisoner of Love"
Glenn Ligon’s “Untitled (Study No. 1 for Prisoner of Love)” (1992) will be included in “Prisoner of Love” a group exhibition opening this Saturday, January 26th, at the Museum of Contemporary Art, Chicago. The exhibition features a rotating body of work from the MCA's collection inspired by the titular themes in Bruce Nauman's iconic neon “Life, Death, Love, Hate, Pleasure, Pain.” The work's title establishes the themes of three rotating groups of artwork in the exhibition’s final gallery: life and death, love and hate, and pleasure and pain. Powerful, moving works by artists such as Deana Lawson, Glenn Ligon, Kerry James Marshall, Marilyn Minter, Robert Mapplethorpe, and Carrie Mae Weems alternate throughout the run of the show. For more information, please visit the MCA Chicago's website.